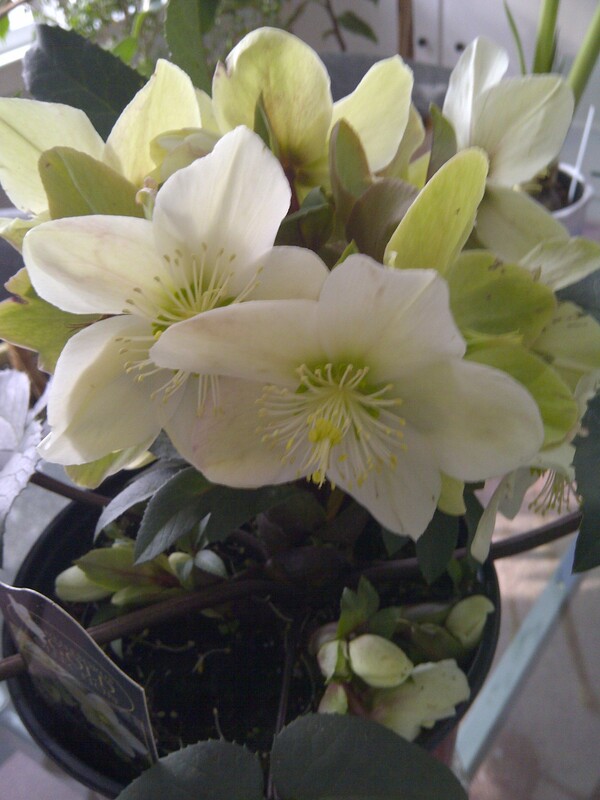 One of the stars of the Flower show continues to be hellebores. I remember them from 3 years ago when I went with the Spoiler. I pointed them out to him and asked, “Aren’t they lovely?” He grumbled something about them being drab so needless to say I didn’t acquire any then! Since then I’ve gradually been adding a few here and there. They’re great for early spring color (although not so early this year) and the deer leave them alone. On the few occasions that the snow has melted this year, I’ve been able to see them in the garden, looking wan and bedraggled, but definitely awaiting me. So it was a pleasure to pick up a few more to add to the collection. I’m amassing them under an ancient dogwood.